On February 20 all juniors will have the opportunity to take the the ACT on our campus. We are excited to offer this opportunity for the third year. Junior parents were emailed information about registering for this exam on December 11. For more information and to register your junior, click here. Registration deadline: February 18, 2019. 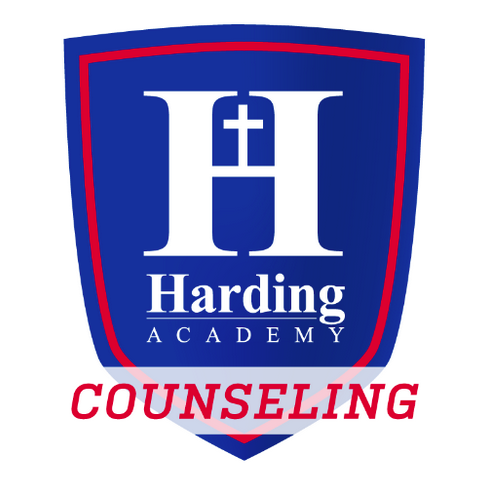 Registration has also opened for our ACT Prep class, taught by retired Harding faculty member, Gary McCormack. Specifically offered to help our juniors prepare for the February 20 exam, this prep class will meet for two hours every Tuesday beginning on January 22 and ending on February, 12. More information regarding this class can be found on the College Connection page of this blog under the Test Prep tab. To register your student, click here. Registration deadline: January 18. On October 24, our sophomore and junior students took the PSAT. 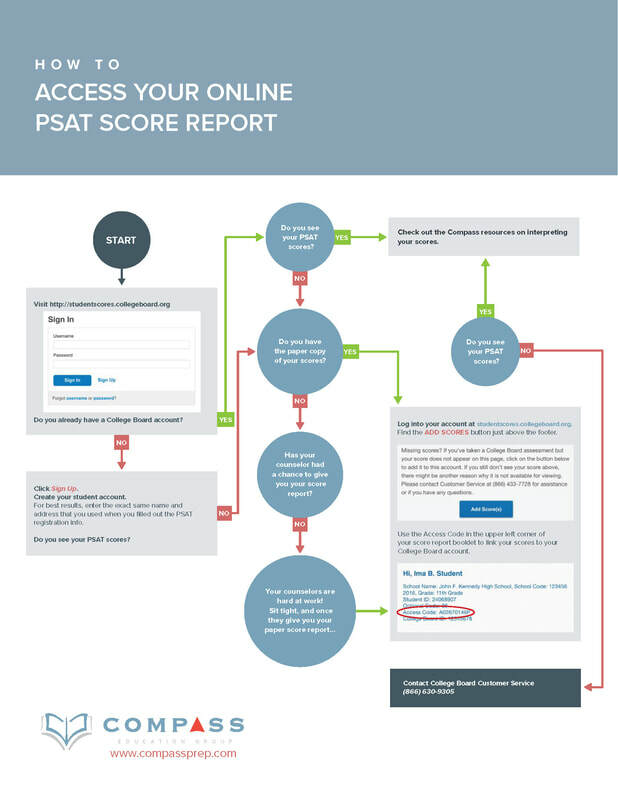 Tuesday, December 11th, students who provided an email address on their answer sheet will be emailed an access code to enter on CollegeBoard's website, which would grant them access to the online score report. Students who did not provide an email can access their scores in their CollegeBoard account. If students do not have a CollegeBoard account, they will receive a paper score report in January when the counselors receive them. See the infographic below for more information on retrieving your scores. All sophomores and juniors will take the PSAT Wednesday, October 24. The counselors went into classes before fall break to conduct PSAT pre-administration sessions with the sophomores and juniors. Students who were absent received a pre-administration make-up session last week. This is a practice test given to help students determine their strengths and weaknesses as they prepare for college admissions entrance exams. Juniors whose scores fall within the top two percent in the state can qualify to be named a National Merit Semi-finalist, which opens the door for generous scholarship opportunities. Students should get a good night's rest and eat a healthy breakfast before the test. Students must bring two #2 pencils and a calculator. Testing will begin at 8:00 am. Click here to learn more about this test. The Counseling Office is hosting a FAFSA help session for senior parents on Tuesday, October 23. Parents of seniors who have started filling out a FAFSA and have questions can get help from Mrs. Banker and a local financial aid representative. Join us from 9:00 - 10:00 am in the computer lab across from the Library. RSVP by clicking on the button below. The FAFSA and CSS Profile both launch Monday, October 1. Below are links to the FAFSA and the CSS Profile. All students need to submit the FAFSA to be considered for financial aid. The CSS Profile is an additional requirement for some selective schools. The best way to know what you need to complete is to ask the school you plan on attending. Click on the buttons below to view more information and to access each application. Colleges recommend that all students complete a FAFSA application, regardless of their total family income. The FAFSA should be completed as early as possible. The FAFSA is the application for the TN HOPE Lottery scholarship. All Tennessee residents who have filed a FAFSA, have a 3.0 GPA or a 21 ACT score, and enroll at a Tennessee college or university will qualify for the HOPE scholarship. Students should list their top college choices on their FAFSA so the schools will receive a copy of the FAFSA and can consider the student for Financial Aid. Click here for an informational video about the CSS Profile. Click here for an informational video about the FAFSA. If you need help filling out your FAFSA, come to our FAFSA Parent Help Session on October 23 at 9:00 am. What's Your Plan for Fall Break? ​Both students and educators look forward to fall break - a time for families to get away together, a time to relax and read a favorite book, a time to get outdoors and enjoy fall, and a time to slow down and recover from a busy start to the school year. Fall Break is also an excellent time to direct your attention to college planning tasks that you have been too busy to focus on the past few months. Check out our list below of things you can do Fall Break to keep yourself on track with your college planning. 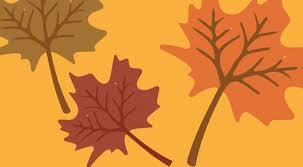 Make a list now of things you want to do (and not do) to make your Fall Break just the break you need. Complete recommendation forms and requests. Request to send your test scores. Go on a college tour. Research your colleges of interest. Shadow a professional in a career you are considering. Study for the PSAT, ACT, or SAT. Go outside, journal, read. Put your phone down. Take a free career interest survey. Unplug and disconnect. Draw, go for a jog, spend time with family. Research volunteer and leadership opportunities for your resume. Make goals for second quarter. 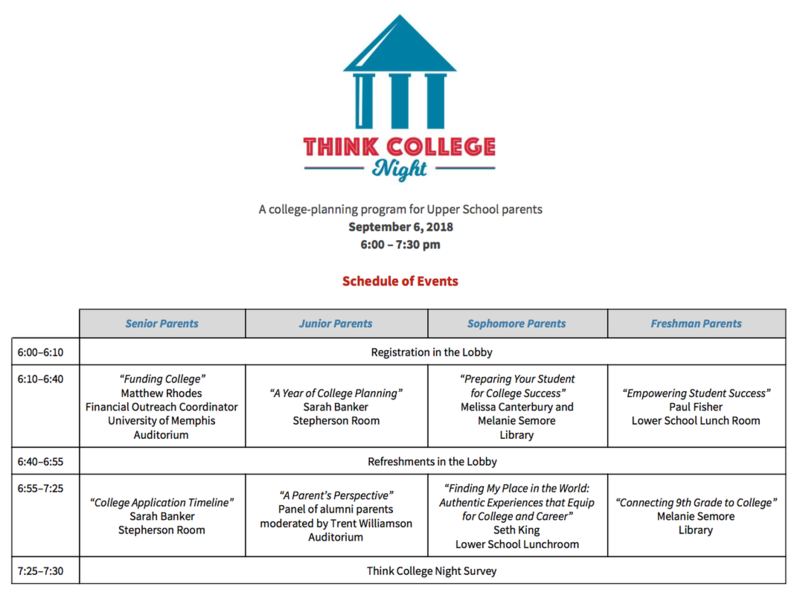 Students in grades 10 and 11 are invited to attend Memphis Area College Night on September 17, 6:00-8:00 pm at the Memphis Agricenter. Visit with college representatives from over 100 colleges and learn more about what it takes to apply, attend, and succeed. Stop by the counselor's table and say hi to one of our counselors! Click the button below for more information on this event. Interested students should see Mrs. Canterbury no later than November 1. Completed applications need to be submitted to the counseling office by November 20 for all schools but the Arts. If you are applying to the Governor's School for the Arts, see Mrs. Canterbury by October 17. Completed applications for the Governors School of the Arts need to be submitted to the counseling office by October 29. Additional information about the application process, deadlines, contact information, and FAQs is available here. For Harding freshman, the first Friday of the school year is celebrated with the tradition of Freshman Quest. Quest marks the transition from middle school to high school for our ninth grade students. It is a day filled with activities and experiences designed to increase self-awareness as students considered their educational future, career goals, personal choices, and spiritual life. We are excited to welcome this new class into our upper school and look forward to watching them grow the next four years! For a recap of the information presented to our freshman watch the video posted below. Here is a link for more pictures.